Steven Spielberg has not one, but two films arriving in December: The Adventures of Tintin and War Horse. Movie Fanatic is taking a look back at the distinguished career of a blockbuster maker and is presenting our readers the top 10 films of a master filmmaker in Steven Spielberg. With Empire of the Sun, Spielberg introduced us to the greatness that is Christian Bale. The young actor played a child of privilege who is separated from his parents when the Japanese invade China during World War II. Empire of the Sun also gave us a stellar performance from John Malkovich and explored Spielberg’s fascination with World War II. Catch Me if You Can is a complete and utter joy. It is easy to see that Spielberg was having a blast filming the cat-and-mouse thriller starring frequent collaborator Tom Hanks and Leonardo DiCaprio. The Color Purple presented a unique challenge for the director as it was his first straight drama and would have a massive audience already anticipating it. The book was an international bestseller and as Spielberg fans know, he adores challenges. Not only did he succeed in delivering a terrific and powerful film, but Spielberg first placed thoughts in Oscar voters’ minds that this guy could someday win Best Director. Sure, he was overlooked for Purple, but without this film, the later Oscar love may not have come to fruition. There are Spielberg popcorn movies, and there is Jurassic Park. The film was one of the last of Spielberg's sci-fi epics that used real animatronic puppets and non-CGI effects including models. Of course, there was quite a bit of CGI, but Spielberg wove that into a tale that was all at once touching, thrilling and terrifying. The opening sequence alone places Saving Private Ryan on this top 10 Spielberg movies list. Never has the D-Day invasion been so accurately captured on screen. 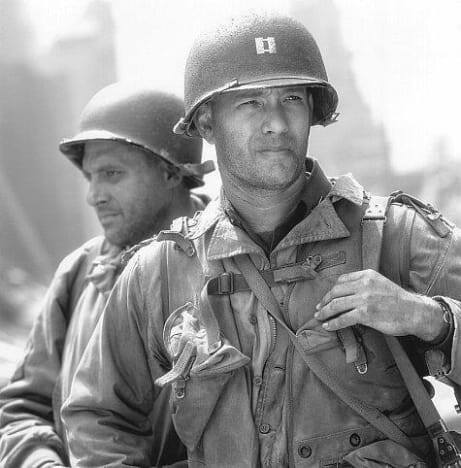 Again Spielberg was focused on World War II and in Saving Private Ryan, he pays tribute to what has been called “The Greatest Generation.” Matt Damon and Hanks (again!) anchored a cast that effortlessly melded themselves into a story about heroes and what it means to be one. Jaws is the film that truly made Spielberg. In fact, the director was almost fired on several occasions because of the troubles Jaws had in production. The first weeks of production were easy. Then, when Spielberg and his crew headed out to sea to film the water-based action in the shark thriller, all hell broke loose. Spielberg, of course, was never fired. Jaws became an international cinematic sensation and hundreds of thousands of people found themselves very scared of the water in the summer of 1975. Raiders of the Lost Ark is, simply put, the benchmark for which all adventures of its vein are measured. Spielberg scored with casting Harrison Ford in the iconic role of Indiana Jones -- toss in a Fedora hat and a leather jacket and history was made. Again, the backdrop was World War II for Spielberg, but Raiders of the Lost Ark was an adventure in the realm of the Saturday morning serials that the filmmaker grew up adoring. It is his tribute, and our classic. Can you believe that M&Ms said no to having their product placed in this classic? Thanks to that, Reese’s Pieces became a household name and Spielberg delivered a film that became the hit of 1982. Fans flocked to the film and many, like this writer, saw it dozens of times. 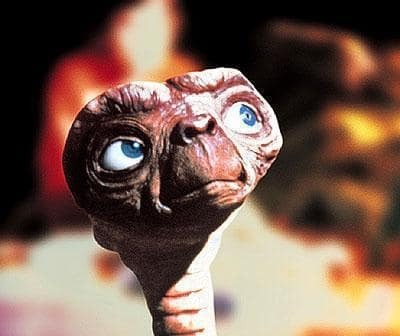 At its heart, ET is a movie about an alien trying to find his way home. Overall, ET was a mirror to our society in terms of how we act as families. The dysfunctional family was functional. Also, fresh off of Watergate, its paranoid view of government was also on display. Collectively ET is pure perfection and it doesn’t matter how many times you watch it, Spielberg’s classic still causes our imagination to soar. In 1977, Spielberg gave the world Close Encounters. Only a director with his storytelling gift could give us a tale about a father who abandons his family in search of his extra-terrestrial calling as Richard Dreyfuss does in the film, and have audiences cheering at his success. As fascinated as Spielberg is with World War II, he is equally as compelled at the story of aliens and how we would interact with them. In Close Encounters, Spielberg painted them not as invaders, but merely a race of beings equally as inquisitive about us as we are of them. Steven Spielberg has been in the film industry for nearly 40 years, and is thought as one of the most influential people in his field. He is a studio entrepreneur, as well as a direction, screenwriter, producer, and video game designer. In addition, he is a co-founder of the DreamWorks movie studio. Filming and directing was always a passion of Spielberg's. When he was young, he would make films with his friends and charge kids 25 cents to watch his homemade videos. After college, Spielberg took an unpaid internship with Universal Studios, where he made his first film Amblin'; he named his production company later in life, Amblin Entertainment, after this. Spielberg's name is attached to so many films, however his most famous films include Jaws, Raiders of the Lost Ark, E.T. the Extra-Terrestrial, Twilight Zone: The Movie, Gremlins and its sequel, The New Batch, Indiana Jones and the Temple of Doom, Back to the Future and its two sequels, The Color Purple, The Goonies, The Land Before Time, Who Framed Roger Rabbit, Indiana Jones and the Last Crusade, Hook, Jurassic Park and the sequels to it, Schindler's List, Casper, Twister, Men in Black, Amistad, Saving Private Ryan, The Mask of Zorro, Minority Report, Catch Me If You Can, The Terminal, War of the Worlds, The Legend of Zorro, Memoris of a Geisha, Munich, Transformers and its two sequels, Eagle Eye, The Lovely Bones, and Cowboys and Aliens. In addition to his outstanding job directing and writing for the big screen, Spielberg's name is also attached to many television shows. Some of his shows targeted for the younger audience include Tiny Toon Adventures, Animaniacs, and Pinky & the Brain. He has also recently produced Falling Skies and Terra Nova. 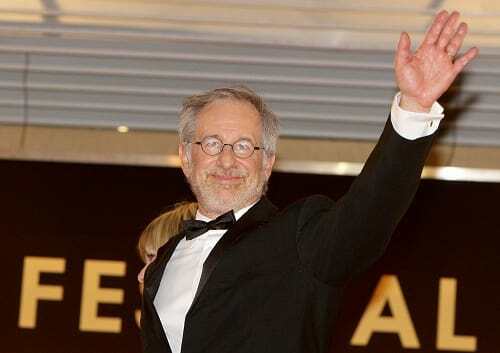 Steven Spielberg is notorious for his work, and has won hundreds of awards throughout the past four decades! ILM Celebrates 40 Years of Making Movie Magic: Watch Now! Steven Spielberg Making His Classics: 20 Rare Photos Revealed!